Define and design one of the first major mobile commerce products of its kind on the iPhone, Android and Windows phone app for The Home Depot. I was the Senior Interaction Designer on the Mobients team (UX Lead, two Senior Interaction Designers, two Visual Designers) and was responsible for the experience strategy and interaction design including producing all major deliverables (Storyboards, Wireframes, and Process Flows). Working with the Head of Consumer Mobile Strategy of The Home Depot, I collaborated with the visual designers and the TCS development team to successfully launch the 1st generation of iPhone, Android, and WindowsPhone7 applications. The Home Depot is the world’s fifth largest retailer in the world. When it comes to home improvement they are second to none. With over 25,000 SKU’s they have products for every job and every situation. Having seen tremendous success with their online storefront, Home Depot saw the opportunity to bring them together with mobile. The vision was to design apps for the major platforms at that time (iOS, Android and WindowsPhone7) that would enable m-Commerce and drive sales. The apps would also customer favorites like product demos, how-to videos, gift cards, store maps, tools and calculators. After the iPhone app’s release, it was a short race to the other smartphone markets of Android and Windows Phone 7. Focusing efforts on cutting lead time, I helped develop a scalable approach that allowed for the iPhone’s design to be easily adapted to the Android and WindowsPhone7 design. The Home Depot app on the WindowsPhone7 was one of the earliest in the WP7 marketplace. 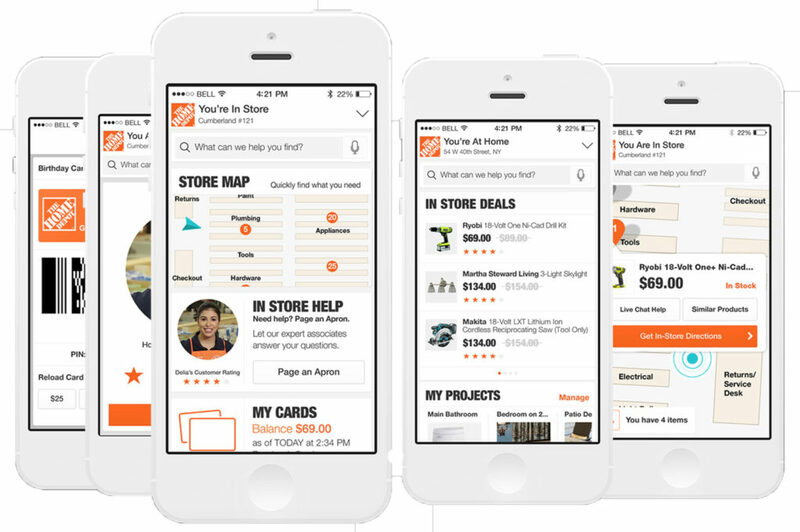 The Home Depot app generated over 500k downloads in 3 months, raising mobile device visits 300% and increasing revenue 600% in 2010.